Multi-age classrooms are a cornerstone of Montessori theory and practice. Children observe and learn from each other. Motivation becomes intrinsic and student engagement is high. Children benefit from individualized instruction delivered by the same teachers over the three-year cycle. Teachers invest deeply in each child’s academic and social growth, and communicate with parents on a regular basis. In keeping with our philosophy the teacher, school and family work in concert to promote the well-being, happiness and development of each child. 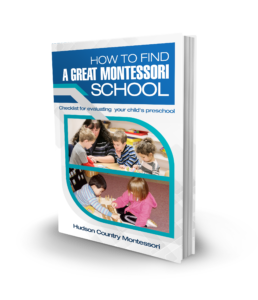 Pre-school age children find the Montessori curriculum and materials naturally engaging. These materials are colorful, appropriate in size and dimension for little hands and, although they look like games, all materials and lessons are designed to promote cognitive growth. Our expert teachers create a prepared environment in each Primary Classroom. A prepared environment is one in which each object, lesson and material has a purpose and a place within the classroom. As children become familiar with the classroom, they are free to choose their own lessons. Children welcome this freedom as they explore and engage in learning. 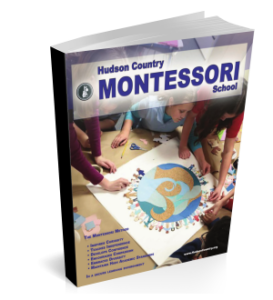 Montessori curriculum for our primary students includes several traditional components as well as enrichment programs. In the area of Practical Life, children bridge the gap from home to school as they practice and master daily tasks from buttoning, tying to sweeping. The Sensorial lessons provide sensory explorations that will become a foundation for mathematical skills and scientific inquiry. Math lessons move students from the concrete to the abstract, and Language from the spoken to the written word to reading. Culture and Science introduces students to global topics. On a weekly basis, students participate in enrichment programs by age group which includes instruction in Spanish, Music and Movement, Art, Physical Education and an ealry- literacy program, Wordly Wise. Add to this our spacious, well-equipped playground, trike path and mini-village and you will understand why at Hudson, children love going to school.